I think September 11 2017 is an appropriate time to finally expose the truth about who was really behind the (9/11) attack on the United States. It was our so-called allies the Saudis my friend. And our government covered it up. Moreover it is still covering it up. It’s all do to the criminal 'DeepState Swamp Monsters'. The Saudi Royal Family and Gov’t implicated as financing the attack on the U.S. in released secret 9/11 documents, the missing 28 pages. I’m going to rant a little now with some truth, you’ still remember truth' don't you! Americas shadow government now called the DeepState, has been gaining power for a little more than 100 years, and in the last fifty years has all but completely taken over the Federal government. The mainstream media is part of this well-organized coup d'état to abolish the 'Constitutional Representative Republic' that few even remember, because it has be redacted from the history books in our institutions of indoctrination called the public school system. And as a result we have evolved into the dreaded Democracy that the Framers and the Constitutional Architects were so afraid of. Our Country is now referred to by most all in the Federal Government as a Democracy even though the Constitution guarantees us a Republican Form of Government Article Four - Section Four. But then, you know the Constitution has been unofficially abolished, right? Even though the congress, because of public pressure, finally ordered the release of the previously confiscated 28 pages of the 9/11 report, those involved in the cover-up of the Saudi connection are still denying that the document says what it implies. Even so, parts of it are still redacted…We may never know the full story. Twenty-eight previously hidden so-called classified pages of the 2002 U.S. official report on the September 11 terror attacks were released after having been kept from the public initially as a cover-up by the Bush administration to protect his buddies of the Royal Family. The pages, which actually contain 29 pages and a letter from then-director of the CIA George Tenet, were suspected to answer questions as the involvement of the Saudi government in the worst terror attack ever on American soil. 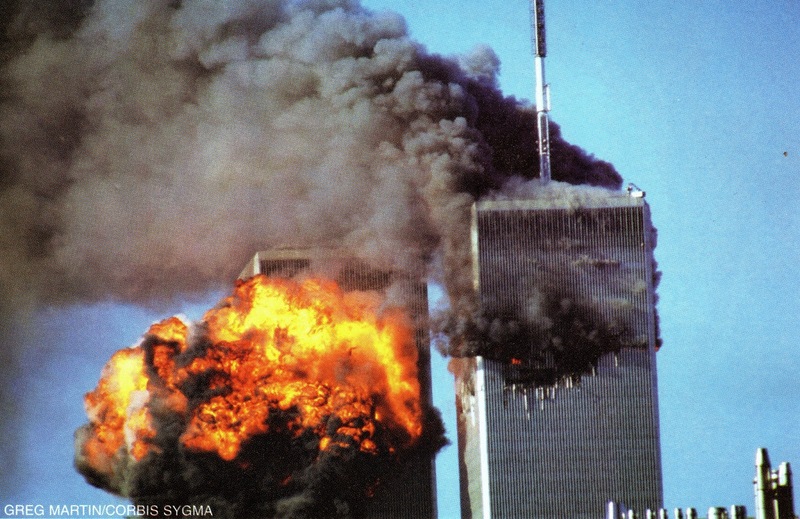 Although still heavily redacted, the pages show that the 9/11 hijackers received support and were in contact with individuals who were connected to the royal family and the government of Saudi Arabia. "Preliminary readings show that there may well have been Saudi involvement in the terror of 9/11 both in the Saudi government and within the Saudi country, within Saudi Arabia," New York Sen. Charles Schumer said. Schumer is one of the sponsors a bill that would allow families of 9/11 victims to sue foreign states and financial partners of terrorism. "The families who I have fought for long and hard now will be able to go to court, and soon, and if the Saudi government was complicit in 9/11 they should pay the price to the families who deserve justice," he added. Senate Intelligence Chairman Bob Graham, who has long campaigned for the secret part of the report to be made public said in a statement, "The information in the 28 pages reinforces the belief that the 19 hijackers — most of whom spoke little English, had limited education and had never before visited the United States — did not act alone in perpetrating the sophisticated 9/11 plot. It suggests a strong linkage between those terrorists and the Kingdom of Saudi Arabia, Saudi charities, and other Saudi stakeholders. The American people should be concerned about these links." Al-Qudhaeein and al-Shalawi flew to D.C. to attend a party at the Saudi embassy. During the flight, they tried to gain entry into the cockpit twice. Flight attendants reported that they asked suspicious questions during the flight. Al-Hazmi and Al-Mihdhar were also helped by a man named Osama Bassman. Bassman’s wife received a monthly payment from the wife of Prince Bandar, the ambassador from Saudi Arabia to the U.S. from 1985-2005. The report also stated that Bassman also received a check from Bandar for $15,000. THE BOTTOM LINE: Originally covered up by George W Bush, Obama also refused to release the secret 28 pages of the 9/11 report. The congress was finally forced by public pressure ordered to release them in July of 2016. Why the cover-up??? The only answer to that question my friend is: TO PROTECT THE HATE AMERICA SHADOW GOVERNMENT OF THE DEEP STATE and their allies the Muslim terrorists of Wahhabist Saudi Arabia the enemy of all the Western Nations. Do you still believe those that call the infiltration of Communists and Muslim Jihadies into the Federal government a fairytale , it’s the media and those that are involved that promote that lie my friend. If you have another answer…I would certainly like to hear it.